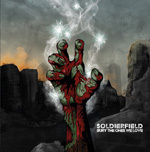 Soldierfield is a relatively young band, formed only in 2011, but not without some experienced players from the UK metal scene. 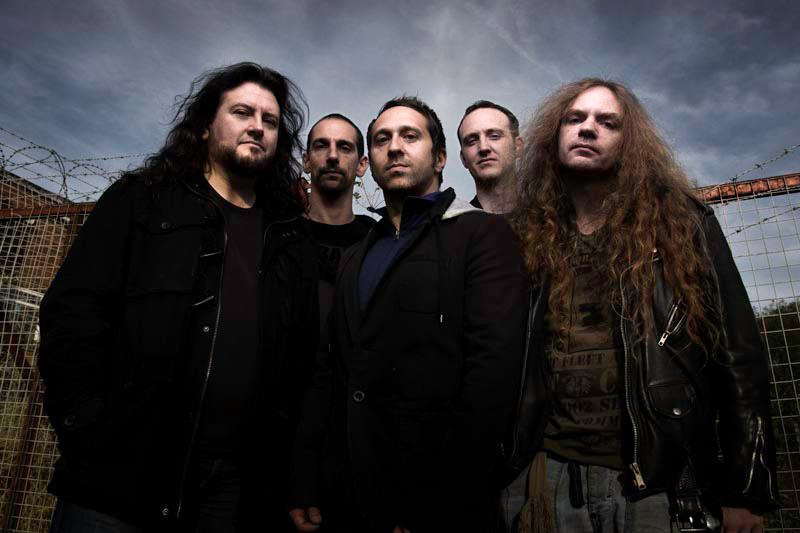 These include Leigh Oates (Order Of Voices, Rise To Addiction) on vocals, Andy Trott and Steve Wray (Rise To Addiction, BLAZE), and Jeff Singer (Paradise Lost, BLAZE, Kill II This, China Beach) on drums. Their debut EP, Bury the Ones We Love offers five tracks, a prelude to a full-length album in 2013. Soldierfield offers a strong mix of classic heavy metal in a modern wrapper. The former brings melody, harmony, catchy grooves and hooks, and some sweet guitar slinging, the latter some d-tuned assertiveness. Leigh Oates is a talent vocalist, easily metal and modern, but also avoiding the cliches of harshness and growls. All these things make this band stand high above their current peers. As for songs, four songs, the title cut, Feel Alive, Leave You in Dirt, and The Path, are essentially straight up, assertive, melodic modern metal. While all good, Leave You in Dirt may be the most interesting thanks to it's clever and unexpected instrumental breakdown at the midpoint. The final song, fourth in the order, Skyflower leans more towards a power anthem, even a modern metal ballad, being heavy yet graceful. You also get to her the strength and versatility of Oates's vocal style; he's quite good. Bury the Ones We Love is strong start for Soldierfield. Only time will tell if they can continue in their impressive melodic modern metal style, rather than succumbing to the monotony of current trends. Recommended. Bury the Ones We Love is strong start for Soldierfield. Only time will tell if they can continue in their impressive melodic modern metal style, rather than succumbing to the monotony of current trends.